We Strive For 100% Guest Satisfaction. 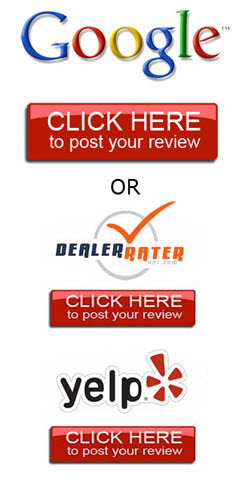 If you are completely satisfied with the service you've received, please let us know about it using the Google, DealerRater, or Yelp Review buttons to the right. If you are not completely satisfied with the service you've received, please contact me (Dustin Pew - General Sales Manager) at 303-874-2512 so that I can address your concern personally.